Divorce doesn’t have to be a battle in court, and you don’t have to let the judge decide your fate. You can decide when you see your children and how much you pay in alimony. You can decide who gets the house, furniture, paintings, or dogs. Mediation is the process of having the parties come together with a neutral third party. 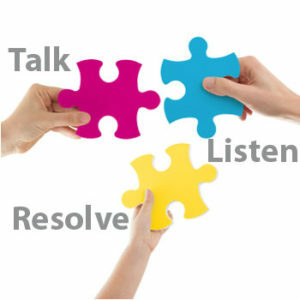 A mediator helps determine what issues need to be resolved, and helps find an agreeable resolution. It is rare to have a situation in which you will receive everything you want. However, that situation rarely ever occurs if you fight to the bitter end in front of a judge either. The big win for mediation is that you are in charge of finding agreement. Maybe you want 12 things and maybe you get 8 of them, but you get to be in charge. You determine what is most important. You determine what you can use to bargain for something you want more, and whether to agree to anything. In Florida, many counties require mediation before you can get before a judge on certain issues. Understanding mediation, and the power it gives you, can save you thousands of dollars. It can also save you months of agony and stress, and allow you to move on with your life. It might be tempting to want to “stick it” to the other person, but knowing the value of your sanity, time, and money can make it easier to move on, especially if you have children together. One myth about mediation is that you have to give in, you can’t fight for what you want, and you don’t get to “win.” This is not true. In fact, a good attorney will represent your interests from a legal perspective, advising you of what your rights are under the law, when you should fight an issue, and when an issue isn’t worth taking before a judge. A good mediator will help you know the likelihood of you having success if you take the issue to court. If you listen to your counsel and your mediator, you will gain insight and be able to place the various puzzle pieces together in a way that makes you happy. Also, a good outcome for a mediation is when both parties win. Likely, both parties will also lose possession of items or agree to an arrangement that isn’t perfect, but understanding your BATNA (best alternative to a negotiated agreement) will help you know when a “loss” is really a win. Remember that you are in charge of mediation. If you need a break to cool down and think more clearly, ask for a break. Make sure your attorney knows if some items are deal breakers. If you aren’t happy with something, don’t agree to it. By choosing the right attorney, and choosing the right mediator, you can ensure that someone is looking out for you at all times (your attorney), and the neutral party, while she can’t take your side, will guide the discussions in a way that keeps the parties calm and steers the negotiations in the direction that is best for the parties. Go into mediation with a detailed ideal scenario, along with other acceptable possibilities. If you know your limits, you will be better able to come to an agreeable resolution, one that you can live with, and can even be happy with, moving forward. ← Is Divorce Looking Likely? Don’t Get Blindsided – Get Represented.